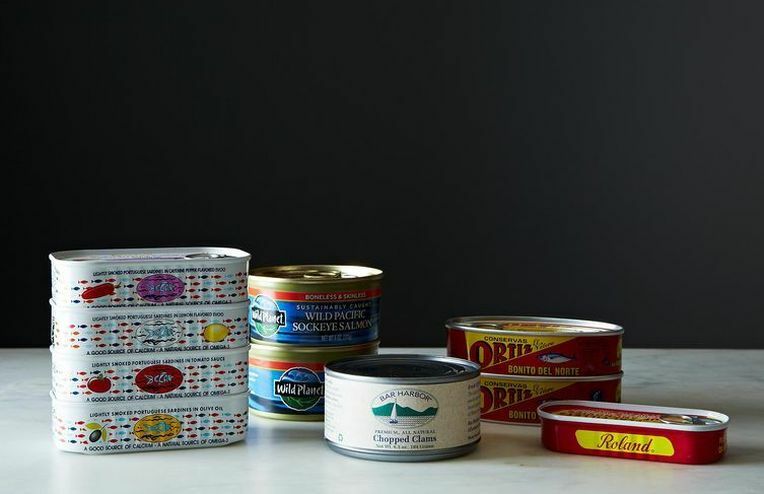 Don't be shy -- we know you have canned fish. Put it to good use at lunch, all week long. How to choose and use your pantry's saviors. Thanksgiving is over -- just you, at home, back to normal. Celebrate. Nicholas Day calls them dinner savers. But they're great for lunch, too! Today in the twins' lunches, we have BELA smoked sardines, gherkins, olives, mayonnaise, and Dijon mustard mixed into a rough spread and layered with arugula on country bread. Turkish apricots and cardamom shortbread round out the meal. Want to eat like Walker and Addie? BELA sardines are now in the Food52 Shop! Pick any six of your favorite flavors and make your own sandwiches -- after all, they're perfect for adults, too. Nicholas Day's one piece of child-rearing advice? Feed your child sardines. Congratulations to cristinasciarra whose Sardine Butter won this week's contest for Your Best Canned Fish! Walker and Addie are two lucky FOOD52ers -- this week's round of testing for our canned fish Community Picks left them flush with options for lunchtime. Here they're having Sagegreen's Herbed Ricotta and Anchovy Crostini and Halfpint's Lemony Sardine Pate with multigrain bread, Tricuits, and knäckebröd from IKEA. What about after their meal? Says Amanda, "Because it seemed like a vaguely Swedish menu, Swedish fish for dessert!" Which of our Community Picks would you make for a weekday lunch? In our lunch post earlier today, we neglected to mention the lunches of two smaller FOOD52ers...Walker and Addie! Read more to see what they had at school while we were eating at our desks.